﻿﻿Take a look at the top picks from our photo contest. ﻿﻿﻿﻿﻿﻿It’s not easy to pick three top photographs from more than 700 submissions by 287 photographers, but such was the task given to Texas Parks & Wildlife magazine photographer Chase Fountain, Associate Art Director Brandon Jakobeit and me recently as we viewed entries from the 2011 Texas Parks & Wildlife magazine photo contest, conducted through the Flickr photo-sharing website. 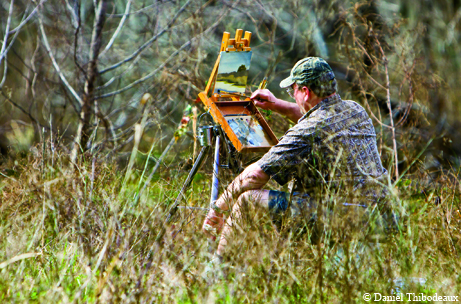 It’s not easy because there are some top-notch photographers out there documenting Texas’ vast landscape, its wildlife and its people. It was also apparent that many of those photographers are very serious about getting the perfect picture, sometimes spending hours, days or weeks to get the perfect shot. Many of those pictures are worthy of gracing the pages of any national publication, and it was our great pleasure to review such fine work. Within the limitations of human fallibility, we did eventually choose the final three based on their artistic and technical merits. We are proud to publish them along with some comments from the judges that we hope will give some insight into the reasons they were chosen as well as some tips for budding photographers. Enjoy! 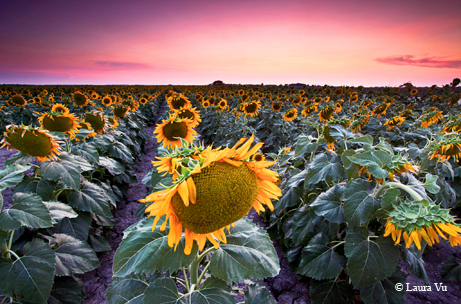 Landscape category — “Sunflower Dreaming” by Laura Vu. Dramatic lighting, strong diagonal composition and use of complementary colors transform an ordinary field of sunflowers into a dramatic and engaging landscape. The wide-angle perspective helps draw the viewer into the scene. As with most good landscape photographs, background objects and a strong foreground help create a sense of dimension and depth. 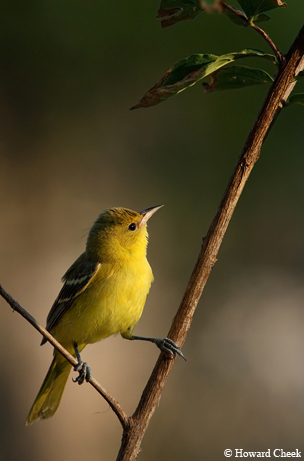 ﻿Plant/Animal category — “Orchard Oriole” by Howard Cheek. This image is a perfect example of simplicity and elegance created by the combination of basic composition and beautiful lighting. The simple lines of the branch and the bird are masterfully composed against the dappled background. The soft side-lighting of the subject is well done, enhancing the texture of the feathers. Technically, the subject is perfectly sharp – a must for animal photos. ﻿People/Activity category — “Tim” by Daniel Ray. A great environmental portrait. The photographer has taken a potentially busy photograph with many potentially distracting objects and patterns, and, through the use of shallow selective focus and good composition, drawn us to a man and his love for art. The soft, directional light on the front of the subject further draws us to his face. As with the other winning photographs, the use of diagonal lines helps pull the viewer’s attention to the main point of interest.